Life of a mad typer: Life of a crafter. Ah the life of a mad crafter never ceases to be amazing. I have already made a new soap dispenser and 2 3/4 tutu's! Waiting on the tule the finish the final tutu but its been amazingly fun! For along time I was only crocheting but I'm getting back into other things again. I am currently looking at getting back into metal working for jewelry. Stick around you never know what we might do next! 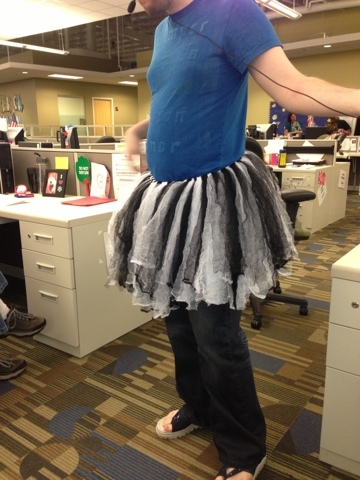 Tutu looks awesome but Im trying to figure out if a girl or guy is wearing it!